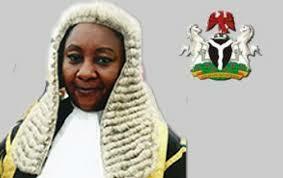 The presiding judge in the case between the leader of the Indigenous People of Biafra, Nnamdi Kanu and the federal government of Nigeria, (in)justice Binta Murtala Nyako has been indicted in her own pronouncements following the unconstitutional bail conditions she granted the accused, Kanu on April 25th, 2017, at the Abuja Federal High Court. The conditions surrounding this bail is borne out of religious and ethnic sentiments and as well, passionate hatred. This bail conditions does not have any constitutional backing or she should come forward and tell Biafrans and her fellow Nigerians where in the Nigerian constitution such cruel bail condition is permissible. One begins to wonder from which point of law she got this idea of dishing out such malicious conditions; it is probably from her proposed sharia law. We shall see to the end of this drama; but until then, she must understand that her judicial blunders has turned out to be a blessing in disguise for Nnamdi Kanu and the rest of our brethren in Kuje prison. This is because she has shown incompetence in handling this case and must honorably resign or be ready to watch what was left of her reputation dragged into the mud. Her blunders has just shown the world a tip of the iceberg with respect to the magnitude of corruption ravaging the Nigerian judicial system. She just opened a can of worms for the world to see the extent to which corruption has eaten deep in the Nigerian judicial system and all other agencies within her peripheral. The global community has no respect for Nigerians because of these kinds of people ruling us. They disdain us everywhere we go despite our individual achievements because of our collective failure to stop the kinds of lawlessness, impunity and sheer stupidity of those who preside over the affairs. We must correct this to be respected in the global community. The only regard they have for us is because of the natural resources the West controls. Apart from the mineral resources so abundant in Africa, we will be treated as slaves forever because of our inability to govern ourselves not to mention sending a man to the moon.